Trio Pacific, Vol. 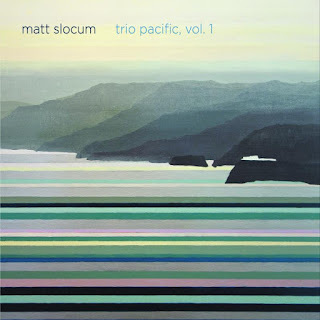 1, drummer/composer Matt Slocum's fourth recording as a leader, moves away from his core piano trio for the first time to a new configuration featuring longtime creative associate Dayna Stephens and inventive guitarist Steve Cardenas. While Slocum's acclaimed 2014 recording Black Elk's Dream focused heavily on his extended compositional work, Trio Pacific, Vol. 1 paints the most revealing portrait to date of his distinctive musical personality on the drums. Slocum, who penned six of the eight compositions on the date, writes, "For these sessions I was interested in working with more open compositional frameworks designed with the trio's aesthetic approach in mind. This group seems to be geared more towards collective interaction rather than extended individual solo statements. It's still a relatively new format as we have been playing together as a trio for only a year or so, but the initial musical connection is the strongest that I've experienced." He also notes that, "The title of the recording isn't meant to imply a deep underlying meaning or anything. It just seemed appropriate as the first gigs that I played with Dayna and Steve were on the West Coast, and we all lived in California for different periods of time. There's also a certain warmth in their playing, both sonically and in terms of content, that for whatever reason makes me think of the Pacific. But it's totally subjective. And by 'warmth' I don't mean brightness." More about the music on Trio Pacific, Vol. 1: Passaic is a Native American word that means "valley" or "water flowing through a valley". The composition alludes to the sinuous path of the Passaic River and what Slocum describes as, "a type of dark beauty," in the Great Falls of the Passaic, the second largest waterfall in the Eastern US. The relatively obscure standard, I Can't Believe That You're in Love with Me, features joyful, swinging playing from the trio and borderline telepathic interaction. Yerazel is an Armenian word that means "to dream." Relaxin' at Camarillo is played at a brisk tempo and features Stephens on the alto saxophone. Slocum notes that, "I've always loved how Tommy Flanagan played this tune." Stephens and Cardenas solo beautifully together before handing it off to Slocum for a thematic solo statement built around the tune's melodic and rhythmic motifs. Afterglow, Descent and Atlantic are three new works that Slocum composed for the sessions. Afterglow incorporates a haunting melody in the lower register of the tenor saxophone over lush, non-conventional harmonic structures. The magical duo interplay between guitar and drums on Descent is a highlight of the recording. It is interesting to hear how Cardenas, a veteran of ensembles led by Paul Motian and Joey Baron, plays differently in a duo with Slocum. Slocum too has found his own voice in this setting, a creative approach to the instrument which differs significantly from those of Motian, Baron and others. Atlantic features Stephens on the soprano saxophone supported by Slocum's textural shading on brushes, mallets and later sticks. For Alin was composed for Slocum's wife and originally appears on his debut recording Portraits. For this session the trio approaches the piece as a collective dialogue which culminates in a single statement of the lyrical rubato melody. More about Matt Slocum: Hailed as "one of his generation's most highly regarded drummers" (Jazz Police), Matt Slocum has also earned a reputation as a distinctive, inventive and lyrical composer. He is the recipient of composition grants and commissions from the Mid-Atlantic Arts Foundation, the American Music Center, New Music USA, the New Jersey State Council on the Arts, the Puffin Foundation and Meet the Composer. Slocum's ensembles have been featured throughout North America and Europe at venues such as Jazz at Lincoln Center, Yoshi's, the Blue Note, Earshot Jazz Festival, Saratoga Jazz Festival, Twin Cities Jazz Festival and the Soka International Jazz Festival among others. Frequently referred to as a "musical" drummer, Slocum possesses a uniquely personal voice on the instrument and is a propulsive, melodic and dynamic accompanist and soloist. He has performed and/or recorded with artists such as Seamus Blake, Alan Broadbent, Steve Cardenas, Gerald Clayton, Taylor Eigsti, Aaron Goldberg, Jon Irabagon, Larry Koonse, Wynton Marsalis, Lage Lund, Linda Oh, Alan Pasqua, Jerome Sabbagh, Jaleel Shaw, Walter Smith III, Anthony Wilson, Sam Yahel and the Dallas Symphony Orchestra. Born in St. Paul, Minnesota and raised in western Wisconsin, Slocum began musical studies on piano before switching to percussion at age 11. While in high school he was introduced to jazz through recordings featuring Max Roach and Philly Joe Jones. He received a full scholarship to attend the University of Southern California where he studied with Peter Erskine. After graduating in 2004, Slocum spent three years in California before making the move to New York in fall 2007. His debut recording Portraits was released in January 2010. 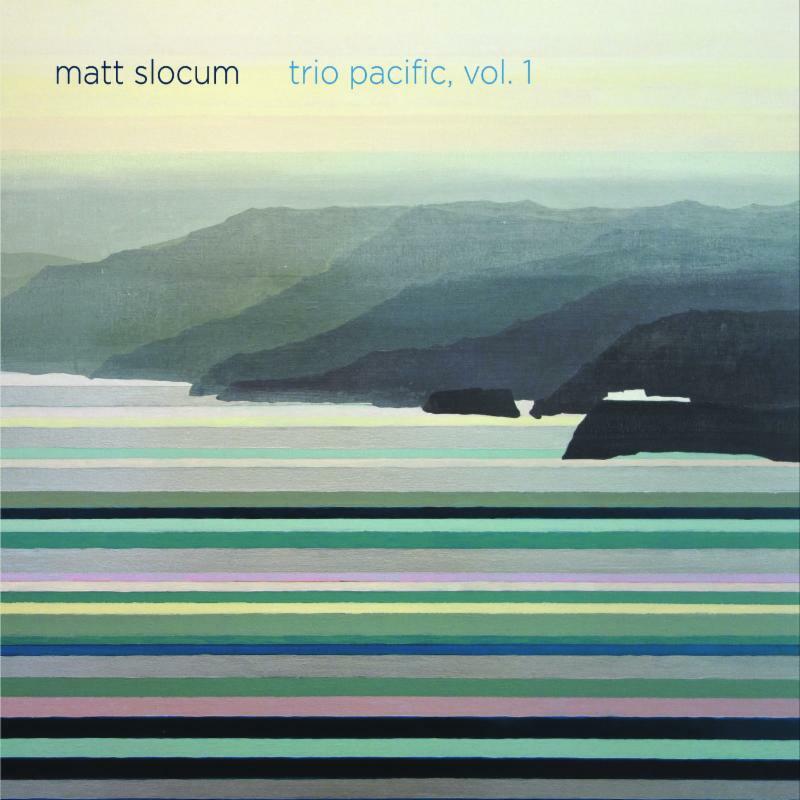 The New York City Jazz Record raved, "With this excellent premiere, Slocum steps out of the box as the full package," while All Music Guide wrote, "This auspicious debut should put Matt Slocum's name firmly on the jazz map." After the Storm, a more introspective trio recording, was released in October 2011 and was one of 15 recordings by American composers to receive a New Music USA recording grant in 2011. Slocum's third recording, Black Elk's Dream (2014), is primarily a quartet session that the Minneapolis City Pages describes as, "A sublime interpretation of the visionary Oglala Lakota leader's philosophy, life and times, the melodic sophistication of Slocum's compositions wonderfully realized by his lithe, restless percussion."